The annual tasting of the new releases from Bouchard Père et Fils is always a fascinating event combined, as it is, with a showing of the new vintage from the Chablis producer William Fèvre (both Bouchard and Fèvre being under the ownership of Champagne Henriot). I find that many of the Chablis wines of 2015 are just a bit too fat, having some of the richness of their Côte d'Or Chardonnays from further south. This has a proper Gevrey sauvages nature to the fruit on both nose and palate, also proper Gevrey smoke inflecting the red and (mostly) black fruit aromas. The entry is creamy-cool yet there's decent tang within. This wine has very nice, fresh juicy acidity and rich, masculine tannins. A long and assertive wine. Great success! Email Caspar[at]boweswine.co.uk to order this wine. 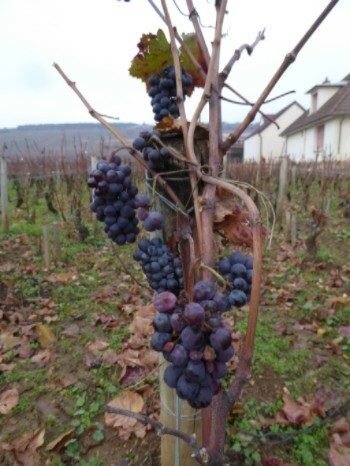 Click here to view all the 2015 Burgundies we are offering.